Now this isn't the sort of invention we're normally interested in. A bit too real world for our usual tastes. But when my car got stolen a couple of weeks ago, and the really crappy courtesy car we got from our insurance company got a flat tyre a couple of days after we received it... well, I guess my level of interest in tyres changed. 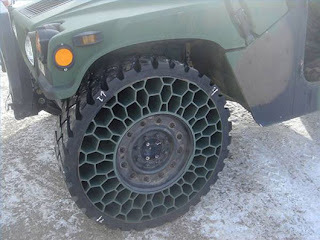 So here's something clever: airless tyres. Apparently they've been in development since 2006 or earlier. (They were originally called the "twheel"... hmm, wonder if that'll ever take off? ...OK, now stopped wondering: because, no it won't.) 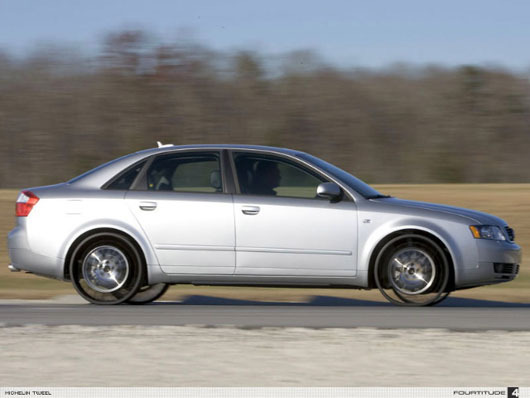 Car conspiracy theorists will love the reason why they've mysteriously lacked investment. Apparently the police and the military in the US have blocked investment because airless tyres can't be shot or burst at roadblocks.